Staff at Gatwick Airport in London are having to write flight information on whiteboards due to a technical fault. Some people have missed their flights - with passengers tweeting about "utter carnage" and "chaos". The airport has apologised - and says its IT provider Vodafone is working to fix the problem. 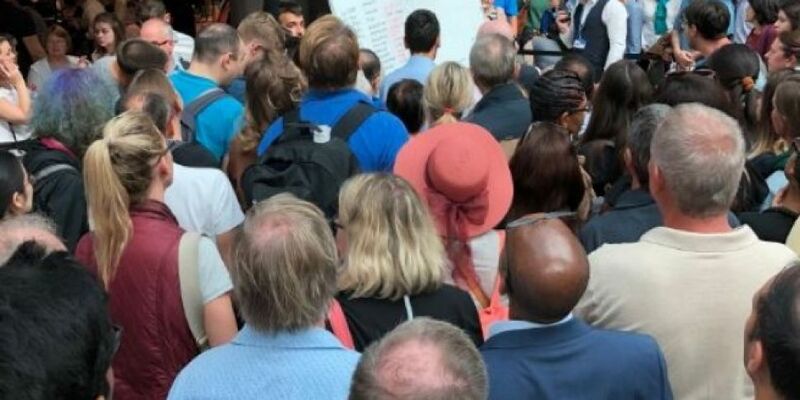 @robfahey posted a photo of people waiting by a whiteboard and wrote: "This tiny whiteboard is the only departures information in Gatwick Airport right now; every screen is offline. Utter chaos. This is a signature flourish at the end of a short trip that's been full of reminders of how badly the UK's infrastructure is crumbling." Other passengers seemed to see the lighter side and praised the efforts of staff members. I'm at Gatwick airport and the screens are broken, so they are announcing boarding gates with a white board! ? ?